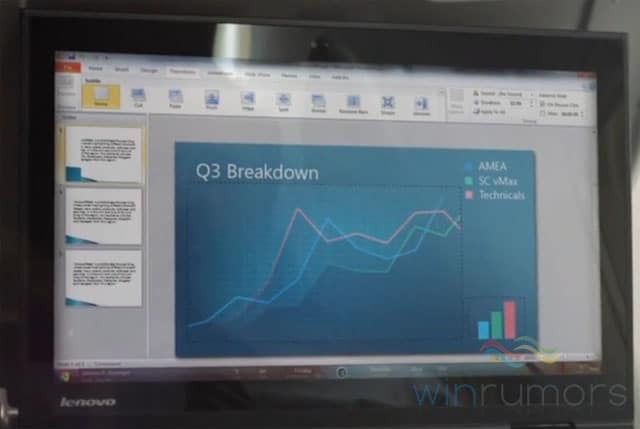 While marketing Flexible Workstyle in a video ad, Microsoft leaked the new Windows 8 user interface. In the ad video, the Windows 8 image seen above appears twice in the video while the narrator says “a single idea can make people see things they’ve never seen before.” The interface shows a new task bar with a clock in the middle surrounded by texts. Even though it looks like this is Microsoft new Windows 8 interface, this can also be just part of the product that only shows up when you are using that particular application.